Early Registration Deadline is 5 January 2018! final banquet will be followed by a fast-paced live auction that you won’t want to miss! certainly not “Northern”, Raleigh is located “just right”, having an enviable climate for growing many magnolias. strips, in housing developments and at country homes. several major corporations and a diverse, well-educated work force. 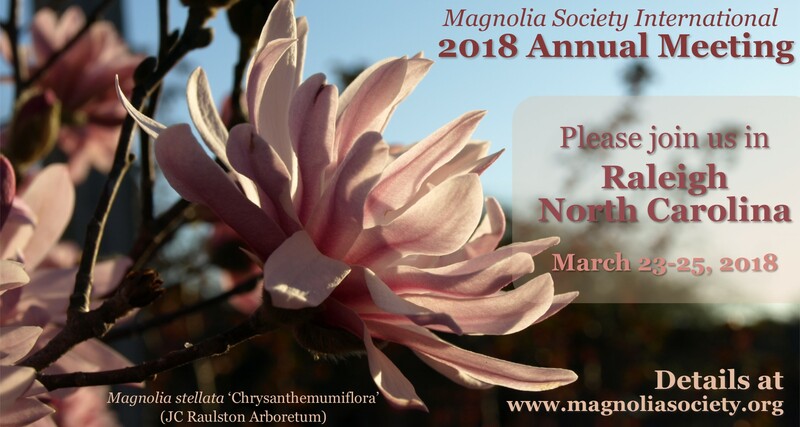 magnolias—and participate in a colorful and busy weekend while enjoying equally generous hospitality!